Disney and Comcast have 500,000 new reasons to keep fighting over Sky. The European broadcaster added half a million new direct subscribers in the year ended June 30. Sales increased 5% to £13.6 billion ($18 billion). Comcast (CMCSA) became top bidder for Sky (SKYAY) earlier this month with an offer that valued the London-based company at £26 billion ($34 billion). Disney (DIS) CEO Bob Iger could still counter that with a higher bid. Sky and its 23 million subscribers are attractive assets to US media companies that want to expand their operations to Europe and bolster their defenses against an onslaught from Netflix (NFLX) and Amazon (AMZN). Top original shows and premium sports content have made Sky a leader in pay TV in the United Kingdom and other markets including Germany and Italy. It also sells broadband and mobile phone services. Iger has described the business as a "real crown jewel." Shares in Sky were trading at £15.10 ($19.90) after the results were published, suggesting that investors expect another bid. Comcast's latest offer is worth £14.75 ($19.45) per share. Sky chief executive Jeremy Darroch said the results reflected "an exceptional year." "We are able to deliver for shareholders whilst ensuring the customer experience is better than anywhere else," he said in a statement. "We are proud that Sky is recognized globally as an outstanding business." 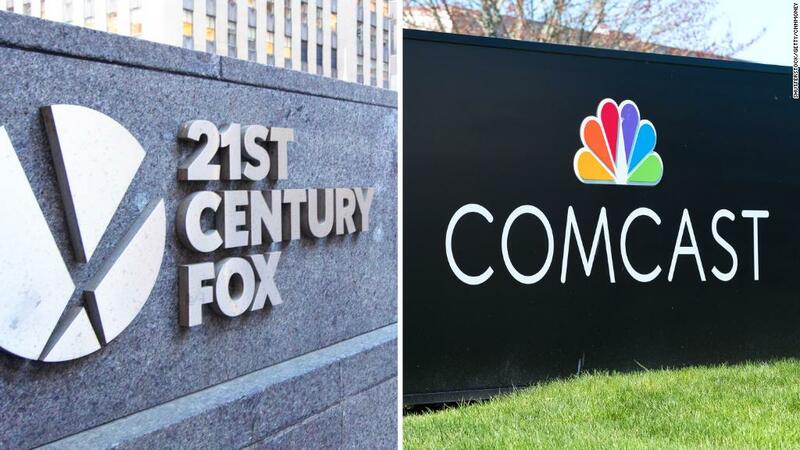 Until recently, Comcast and Disney were locked in a bidding war for most of 21st Century Fox (FOX), including its stake in Sky. Comcast dropped its pursuit of Fox last week. Attention has since shifted back to Sky. The results announced Thursday could entice Iger to authorize a new offer for Sky. The bid would be made through Fox, which Disney has been using as a proxy since getting regulatory approval to buy most of its assets.